Today I'm sharing a layout I made using the Bad Girls Couture September scrapbook kit. 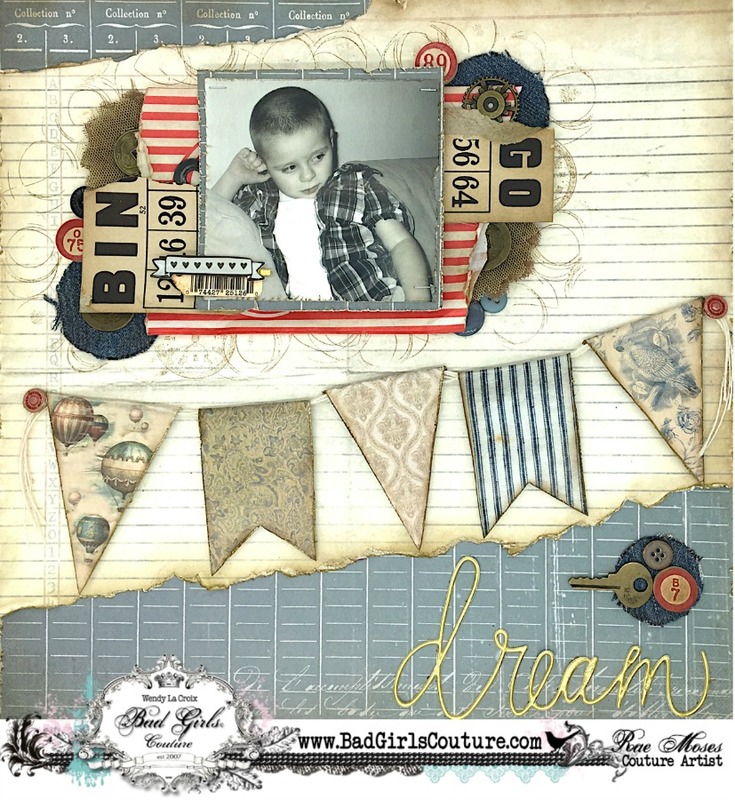 I have many more details on the Bad Girls Couture blog, as well as a tutorial on how to make a dimensional vintage bunting. If you get a chance, check it out!